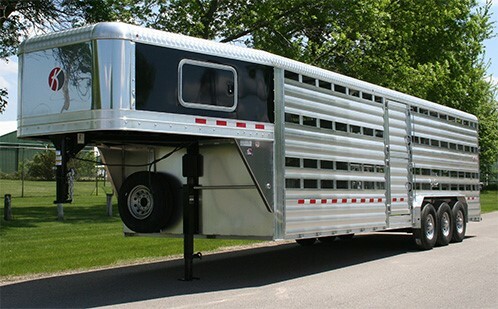 4″ x 4″ exclusive and extruded aluminum planking floors and sides. 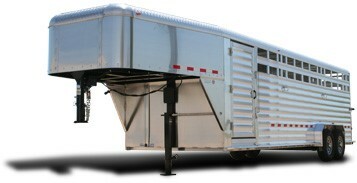 We are excited to present you with a new optional nose available for our Deluxe II livestock trailers. Our “colored” skin optional nose comes with a new design for Kiefer. 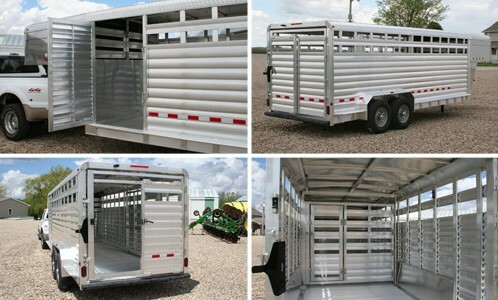 It features .050 white aluminum sides and a stainless steel front and corners. Shown with optional graphics package, aluminum wheels, smooth skin nose, black painted roof rail and side ramp. 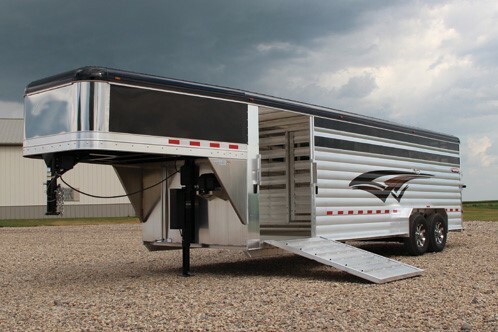 Double deck option. 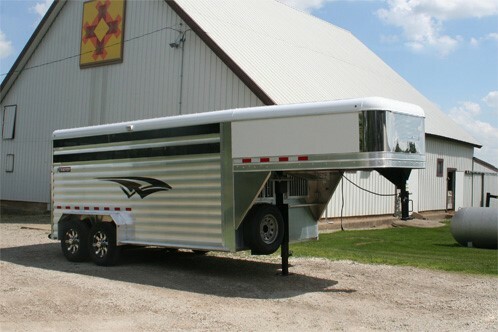 Contact your local dealer to design a trailer to your specific needs.